Body is the Car. Mind is the Driver. 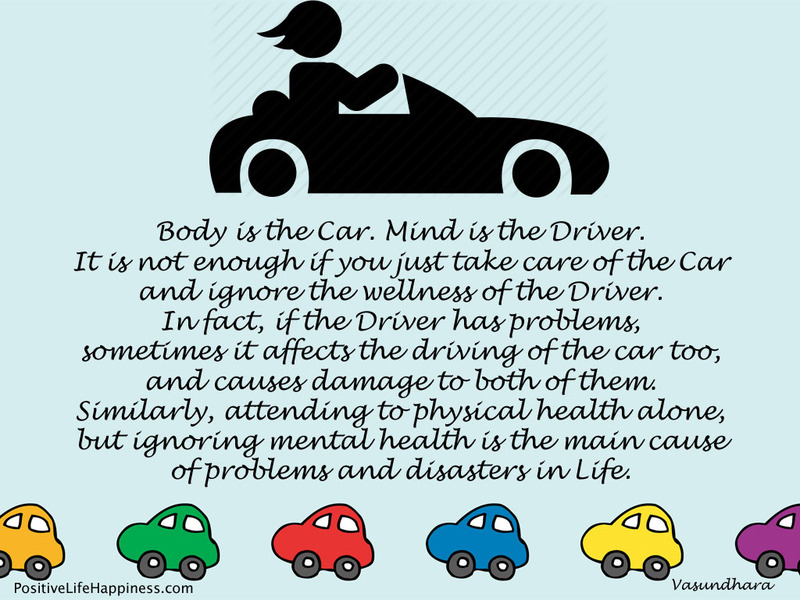 It is not enough if you just take care of the Car and ignore the wellness of the Driver. In fact, if the Driver has problems, sometimes it affects the driving of the car too, and causes damage to both of them. Similarly, attending to physical health alone, but ignoring mental health is the main cause of problems and disasters in Life.